As an established Voice-Over Agency and Subtitling Studios, Matinée has been providing Caribbean accent voice-over production services for over 25 years, from our base in Reading. We offer a selection of the very best Caribbean voice talent, at a price you can afford. We can supply and record Caribbean accent voice-over artists, for documentary, advertising, corporate video, eLearning or telephone message prompts. Just send us the script and we'll record it wild, or to picture at no extra cost. Then we'll deliver the audio back to you within a very short time frame, via FTP, and in any file format you require. 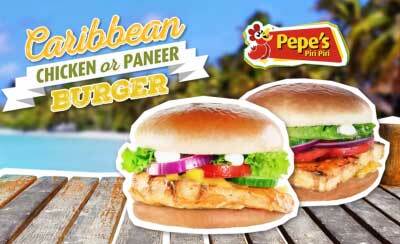 Pepe’s is a fast food chain selling fresh, flame grilled chicken. This is a commercial promoting their new Caribbean style burger. Chris B recorded this commercial in English with a Caribbean accent. His tone is fun, playful and vibrant. The Caribbean islands were originally inhabited by nomadic tribes that came from Venezuela and Guyana. In 1492 Christopher Columbus, who was in the service of the Reyes Catolicos, Isabel and Ferdinand, came across the Caribbean islands and claimed Trinidad for the Spaniards. In1623 the British discovered the Caribbean and colonised amongst other islands, Antigua and Barbados. Next came the French and then the Dutch. All of the countries who colonised the islands, used them in the slave trade. They brought over hundreds of people from West Africa to work on the plantations. Due to the number of different spoken languages, the people on the islands began to speak Pidgin languages and English became one them as slaves needed to be able to communicate with their masters. Other Pidgin languages developed as the slaves spoke to each other and English and African were big influences. Gradually as the settlers had children began to speak to each other, Pidgin became a creole language. A creole language is one which was pidgin, but has developed to become more complex and has an increased vocabulary and sound structure. Caribbean creole in English doesn’t, for example use the verb ‘To Be’ – So a person might say in creole she English, rather than she is English. It is easily understood, but the structure is less complex. Written English as used in education and business is standard British. Each Caribbean island has its own distinct dialect, which are all influenced by the countries which colonised them. There is a mixture of Portuguese, French, Spanish and English amongst the islands. The creole languages are used at home, but it is in some parts also heard on the radio and television. If you want to hear what a Barbados accent is like when speaking English, take a look at this news programme, which speaks to former Barbados Prime Minister, Owen Arthur.